Welcome to our new series, "Ready to Go!" Book Display. Once a month, we'll highlight the latest or greatest for every age group (Adults, Teens, Children, and All Ages) that you can promote within your library or order for your collection. A versed celebration of the 101 two-letter words allowed in the game Scrabble, dedicating an original four-line, wryly whimsical rhyming poem to each. Follows the author, who was originally just a curious reporter and now a Scrabble fiend, as he becomes an expert Scrabble player and delves into the realm of Scrabble culture. He encounters a vitamin-popping standup comic and the three-time champion who plays by Zen principles, and realizes that Scrabble is more than just a game on many different levels. Bakerhaven Police Chief Dale Harper is perplexed by a piece of evidence in his first murder investigation - an apparent crossword puzzle clue found on the body of a teenage girl - so he recruits the town's famed "Puzzle Lady," the eccentric author of a weekly syndicated crossword puzzle column. The newest book in the series - Puzzled Indemnity - comes out January 2015. A definitive look at Dungeons & Dragons traces its origins on the battlefields of ancient Europe through the hysteria that linked it to satanic rituals and teen suicides and to its apotheosis as father of the modern video game industry. 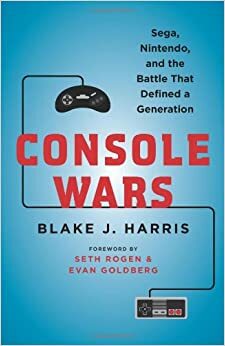 Chronicles how Sega - a small, scrappy gaming company led by an unlikely visionary and a team of rebels - took on the juggernaut Nintendo and revolutionized the video game industry. In a near-future world that is dominated by an alternate-reality game without boundaries, players find their real lives increasingly and violently overshadowed by the game and its escalating demands. The creator of the popular "virtual Lego" game, Minecraft, traces his unlikely rise from a disaffected youth who rose from a family marked by drug abuse and conflict to a multi-millionaire and international icon. Immersing himself in a mid-21st century technological virtual utopia to escape an ugly real world of famine, poverty and disease, Wade Watts joins an increasingly violent effort to solve a series of puzzles by the virtual world's super-wealthy creator, who has promised that the winner will be his heir. A father-son chess tournament reveals the dark side of the game. 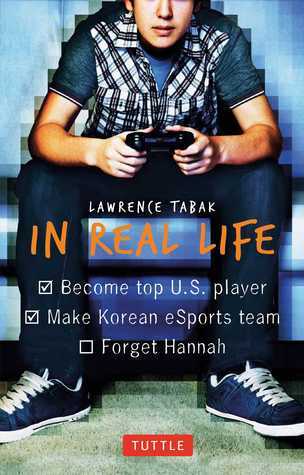 Fifteen-year-old math prodigy Seth Gordon hopes to compete professionally playing the world's most popular computer game, but when he gets the chance to move to Korea and train full-time, he may not be ready for the culture shock and leaving his possible girlfriend. Dennis, the son of Chinese immigrants, yearns to play video games like his friends and upon his strict father's death, becomes obsessed with them. An updated edition of an ultimate guide to video games contains industry news on upcoming and noteworthy games as well as the most recent and best records and entertaining trivia for today's most popular games. Immersing herself in an online fantasy game, Anda confronts a difficult choice when she befriends a disadvantaged Chinese child who illegally collects rare items in the game and sells them to other players. The first installment in a series set in a world of hyper-advanced technology, cyberterrorism and extreme gaming finds talented young hacker Michael enlisted by the government to stop a violent fellow hacker who is trapping hostages in nightmarish, brain-damaging virtual reality environments. When video game obsessed Pete Watson discovers his dad is not only a super-spy but has been kidnapped and is now trapped inside a video game, he has to use his super gaming skills and enter the game to rescue him. 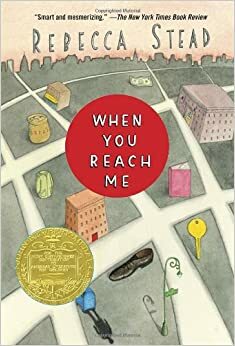 Twelve-year-old Kyle gets to stay overnight in the new town library, designed by his hero (the famous gamemaker Lugi Lemoncello), with other students but finds that come morning he must work with friends to solve puzzles in order to escape. As her mother prepares to be a contestant on the 1970's television game show, "The $20,000 Pyramid," a twelve-year-old New York City girl tries to make sense of mysterious notes received from an anonymous source that seems to defy the laws of time and space. An iconic yet informative guide to video game terminology in picture book format. From old-fashioned classics to new high-tech varieties, this comprehensive guide to playing games and creating fun includes intricate clapping games, bike rodeo and Google Earth challenges in this follow up to Unbored: The Essential Field Guide to Serious Fun. What a great selection you've put together -- thanks so much for including Attack! Boss! Cheat Code! Thanks for commenting! It was exciting to find an awesome picture book that fit our theme! Younger puzzle fans will also enjoy "The Puzzling World of Winston Breen" series by Eric Berlin. Winston is a puzzle fanatic, and each book has him solving a string of puzzles, riddles, and clues. The games that are relevant to the plot will be solved within the story; others have answers provided at the end, so you can work on them at your own pace. Thanks for the recommendation! I haven't heard of that one, but it sounds really awesome. I love that they provide answers to all the puzzles and encourage reader participation. I loved Confessions of a Part-time Sorceress: A Girl's Guide to the Dungeons & Dragons by Shelly Mazzanoble :) It's gotten some flack from some girl gamers, but I am a girl gamer and I thought it was hysterical and true to (my, at least) experience with gaming.